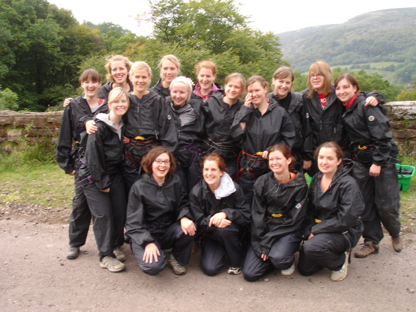 Gorge Walking Wales uses gorge walking as a tool to train management groups in a fun and exciting environment. It is a great leveler and with everybody out of their comfort zone the learning is quick and memorable. 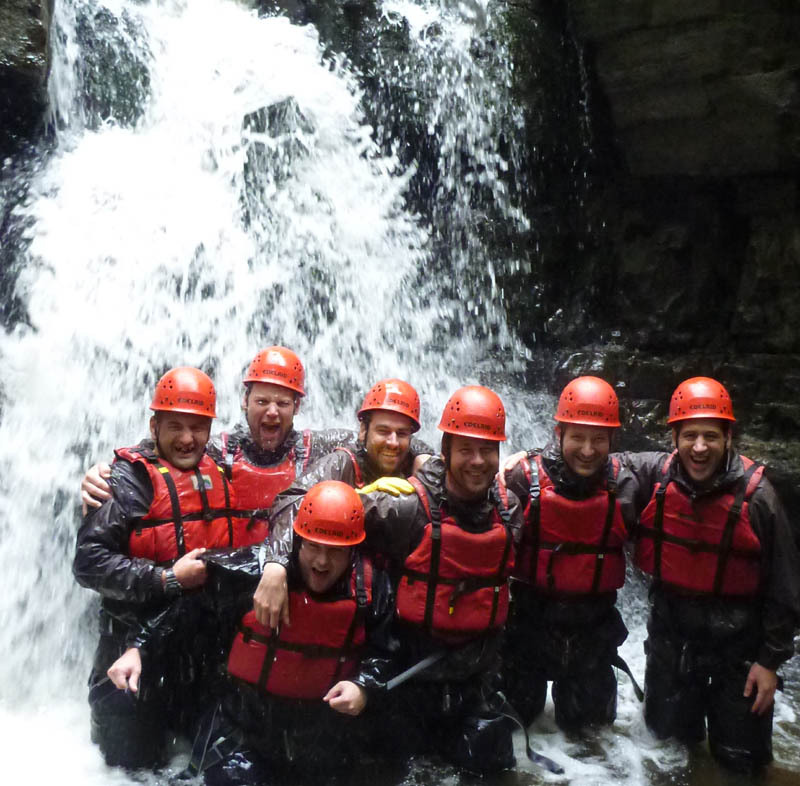 Gorge walking can be used to demonstrate leadership, motivation, team bonding and communication. 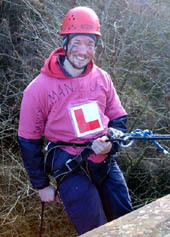 We use NLP techniques to get the maximum learning from the session and we can provide workplace visits to reinforce the skills and techniques learnt during the outdoor sessions. Thank you very much for these photos – they are a great reminder of a fantastic time had by every one. The feedback this morning back in the office is brilliant – as much for the ones that went but I can also see that the ones who didn’t qualify will really make sure they do next time. 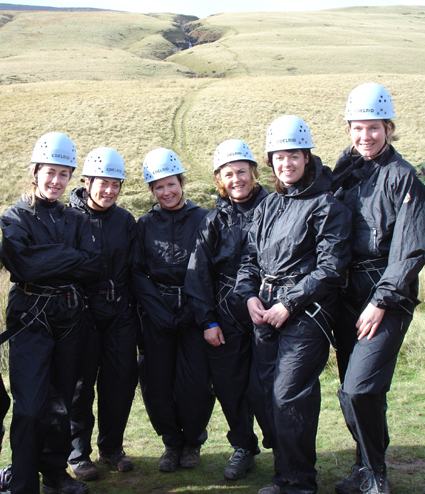 Thank you for all your help along the way in getting it organised and our guides for the day itself helped to make sure it was enjoyed by all – going out of their way to encourage even the most timid of person to do much more than they ever dreamed of. 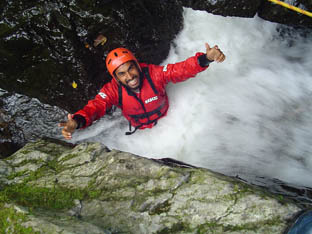 Hope to be in touch again for more gorge scrambling in the future. Hi Michael, we had a fantastic time yesterday, thank you so much. From the feedback from the guys, I think we would very much like to do something along these lines again next year - assuming when we are a full team again the new members are up for this kind of activity. So we'll surely be in touch again in the not so distant future. I will also do some positive PR for you around the company and who knows, another department may decide to go gorge walking as well. Dear Michael, I have had great feedback about the day. It has been interesting to hear about how everyone learned a little more about themselves by taking on the challenges you set. On the whole the day was an outstanding success and all were very impressed by the quality of your staff and instruction/guidance. I leave it to the “adrenalin heads” in the company to decide to form a team and try the tougher challenge, I'm sure the company will pay for them to have another go in the near future. I hope some of them do go for it. I will let the right people know there can be tougher challenges set. Thank you once again for a worthwhile day out, great challenges and value for money.